Would you like a free estimate on your next move? Then you have come to the right place! Go to our residential page if you are moving from a house, apartment, condo or similar living arrangements. 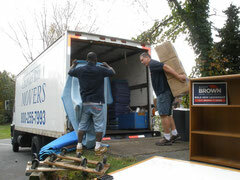 Go to our Commercial page for business, office, school or other similarly oriented moving estimates. Give us a call at 781-899-6683. Or continue on below and fill out a form online. If you are looking for a commercial moving company and would like a free estimate please visit our the link below. If you are looking for a residential moving company and would like a free estimate please visit our the link below.